Between health issues, loneliness, and many other challenges that come with old age, life for elderly people can often be incredibly difficult. Thankfully, though, one company just announced an incredible new product designed to help elderly people live with more dignity and purpose: Life Alert has introduced a necklace that senior citizens can press when they’re bored. Released earlier this week, the new Life Alert necklace features a large, easy-to-locate button that seniors can press any time they’re looking to add a little excitement to their day, creating a simple yet engaging diversion for older individuals who might otherwise struggle to stay active and alert in their everyday lives. 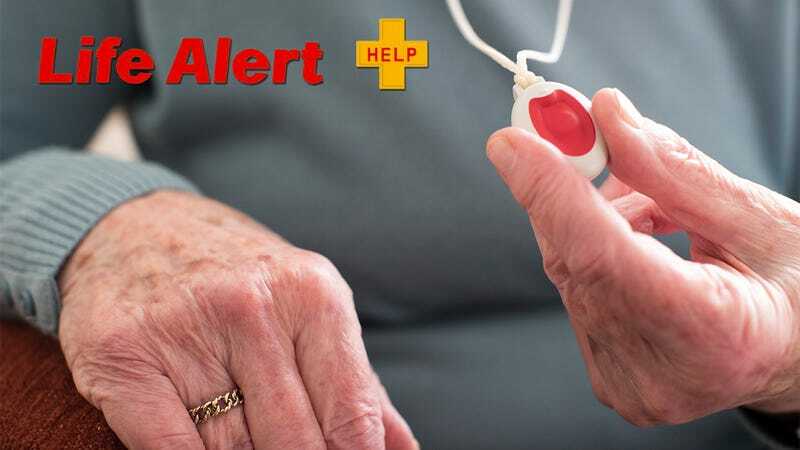 Although it can’t be used to call for help in emergency situations like other Life Alert products, the new necklace can be used as frequently and enthusiastically as wearers would like, making a fun clicking sound each time it’s pressed in order to stimulate the senses and ease the tedium of post-retirement living. This is seriously heartwarming! Kudos to Life Alert for caring so much about the elderly and finding innovative ways to address their needs—we can’t wait to see what product it comes out with next!